The Safety Station is the go-to place for younger children and their grown-ups! Understanding how to be safe on and around the school bus is serious business, but Miss Mary makes learning fun. From "early is on time" and "5 big steps" to danger zones and best practices for daily riders, these are potentially life-saving lessons. Watch these important videos together...we bet even "big people" will learn something new. Conversations count! Elementary schoolers look to their parents and guardians for guidance and listen to what you have to say. By setting the tone for safety and introducing the concept of what to do in case of an emergency, you are preparing your child and making them feel more confident. When you share and discuss these videos, your rider will realize the importance of taking school bus safety seriously. The next time your teen or tween goes to watch a video or check their phone, give them the link to these videos — and watch them together. From picking up dropped items to running after the bus, chances are, your kids have seen some scary near-misses. 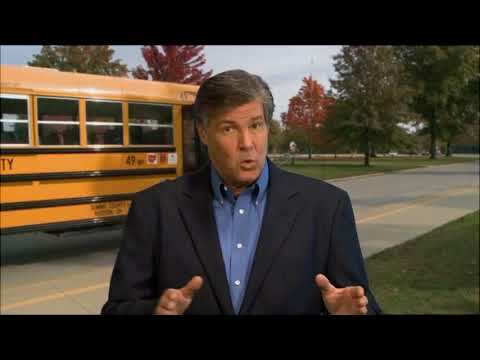 Paying attention and making eye contact with the driver are key for older students, and these videos offer invaluable safety tips. Our people are positive role models for the more than one million children we transport every day. For parents and guardians who want to spend more time during or after school with their children, a job as a Bus Driver with STI can put you, and your priorities, in the driver's seat.